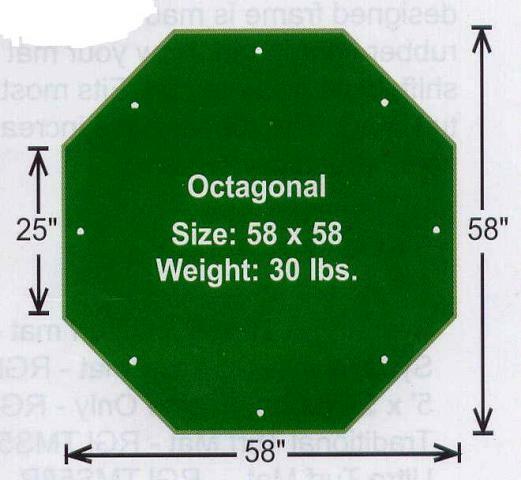 Our Traditional Golf Mat is the classic golf mat with a 5/8 inch pile height. The turf is constructed from 6-6 nylon fiber which is unequaled in terms of wear resistance. The 0.70 inch Ensolite closed cell foam pad provides golfer friendly support while resisting water absorption. Hitting iron shots down through the ball feels soft and natural. This mat provides an economical alternative to natural grass tee lines. Great for home putting greens as a portable chipping mat. Large enough for the golfer to completely stand on and complete the swing. It is used on driving ranges and golf gourses worldwide. Manufactured by AstroTurf, the leader in artifical turf. 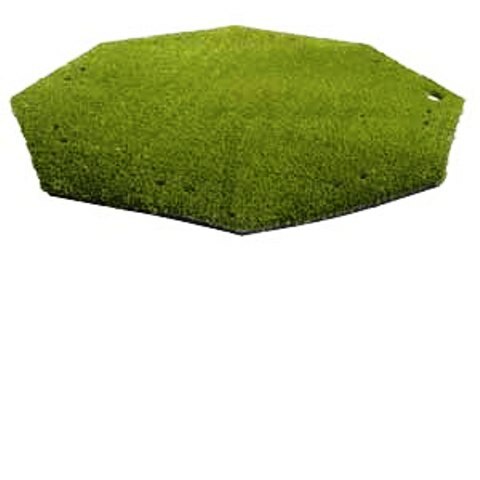 This artifical turf mat feels and plays more like real grass than any other mat on the market! Also available in 58 inch square shape and in ULTRA Turf with root zone at our TJB-INC Store. 7/16/2012 – Can I insert rubber tee from the bottom? 3/8/2009 – What are the shipping costs?